What Is Flor Essence Good for? Flor Essence is a proprietary blend of herbs that are made into a hot herbal infusion, or “tea,” and consumed for purposes of stimulating your immune system and detoxifying your internal organs. Flor Essence is related to ESSIAC tea, which was developed by Canadian nurse Rene Caisse in the 1920s. Flor Essence contains the four original herbs found in ESSIAC tea, plus four additional herbs in specific ratios. Flor Essence is popular among alternative health practitioners for aid in treating cancer and other serious diseases, although the medical community warns there is no scientifically proven benefit. Consult with your doctor before supplementing with Flor Essence. Flor Essence tea is a blend of eight herbs, most of which were used by the Ojibwa Indians of Canada to treat a variety of conditions, including cancers and infections. Specifically, Flor Essence contains the original ESSIAC herbs, which are burdock root, sheep sorrel, slippery elm bark and Indian rhubarb root, with the addition of watercress, kelp, blessed thistle and red clover blossom, according to “PDR for Herbal Supplements." All of these herbs display either anti-inflammatory, antioxidant, antimicrobial or immune stimulating properties and it is claimed they have synergistic effects when taken together. Their affect on cancer growth is disputed by the medical community and a couple of small scientific studies on cancer patients concluded the effect was no greater than placebo, as explained by Dr. Brent Bauer, author of “Mayo Clinic Book of Alternative Medicine." 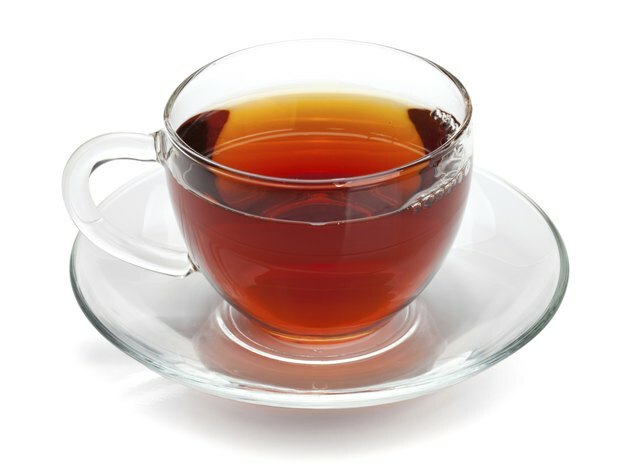 Anecdotal claims of the benefits from taking Flor Essence tea include reduced pain and inflammation, improved recovery from various disorders, improved sleep, enhanced vitality and stronger immune system response. Versions of Flor Essence tea have been marketed since the 1930s and it has an excellent safety record, although the medical community warns that it is not a cure for any recognized disease. As such, Flor Essence has been marketed more recently as a natural cleansing herbal remedy which is able to detoxify your liver, intestines and lymphatic system, leading to better digestion and improved over-all health, according to “Medical Herbalism." These claims are more difficult to disprove because the herbs in Flor Essence do contain biologically active compounds that display beneficial properties. Some benefits that can occur from detoxifying your body include improved digestion and absorption of nutrients, more efficient elimination of wastes, increased energy, better sleeps, enhanced immunity, less bloating and gas, decreased body and breath odor and healthier looking skin. Flor Essence tea has a strong woody, organic taste and may not be appealing to your palate. Some mild side effects have been reported from drinking the tea and include nausea, upset stomach, diarrhea, malaise and restless sleep, although these symptoms may be more related to the effects of detoxification, as cited in Phyllis Balch’s “Prescription for Nutritional Healing." Flor Essence herbal tea is related to the work of Nurse Rene Caisse and Dr. Charles Brusch during the 1920s and 1930s and should not be confused with flower essence homeopathic remedies developed by Englishman Edward Bach in the 1930s. Bach used flower petals to formulate homeopathic dilutions mixed with brandy to treat emotional and spiritual conditions. What Are the Benefits of Drinking Calli Tea?